Same day engraving and shipping on expedited orders. Capacity: This alabaster stone pet urn holds approximately 175 cubic inches or the ashes of a beloved pet that weighed 175 lbs or less at time of passing. 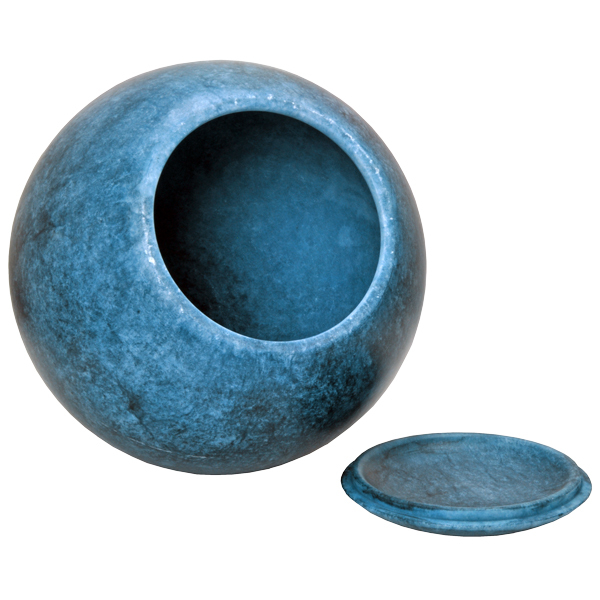 This round alabaster stone pet urn in blue- gleams with a natural radiance and is exceptionally made by experienced craftsman in Spain. 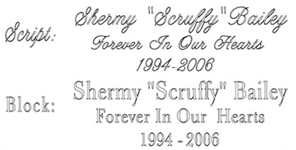 The natural alabaster stone is transformed into stunning pet memorial tributes. 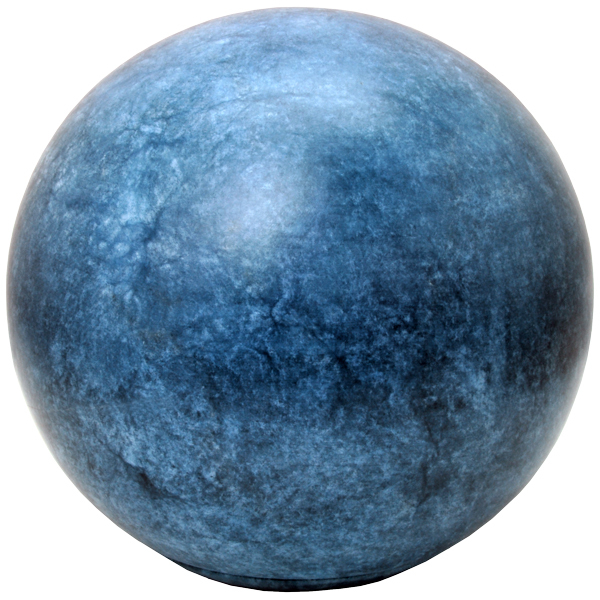 Since alabaster is a unique resource, no two stone urns are exactly alike; patterns and color may vary. Standard engraving is etched into the stone. For more contrast, you may choose to add a black fill that will render the engraving easier to read.